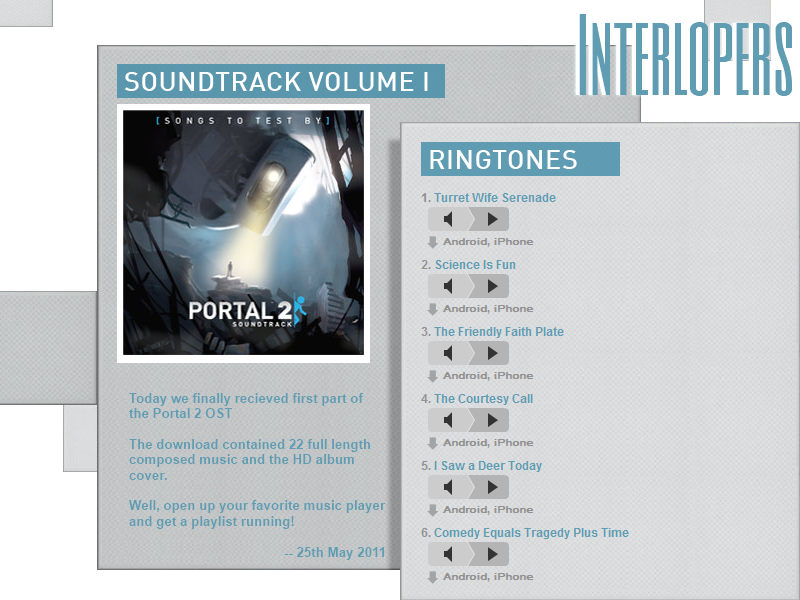 Interlopers.net Forum - Half-Life 2 News & Tutorials • View topic - Portal 2 OST Volume I - Released! Portal 2 OST Volume I - Released! Yeah, I know it's 28th now but the soundtrack was released that day - let's just enjoy it! Sacrificing pixels to get a signature working, my hobby!